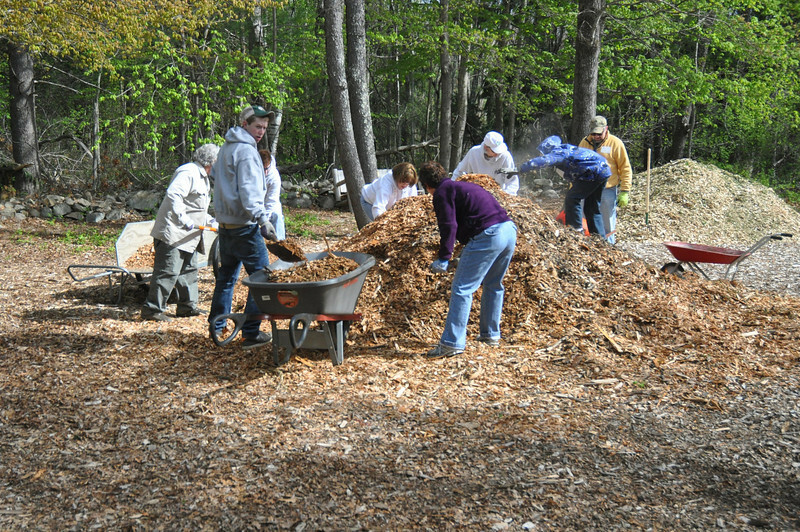 Mass Audubon's Statewide Volunteer Day took place April 28, 2012. In just one morning, we accomplished an unbelievable amount. In fact, we literally moved mountains (of mulch) -- 146 cubic yards in all!